Our executive search and leadership consulting firm works with racquet clubs, golf courses and resorts. We find qualified professionals, general managers and operations directors. We also help collegiate programs find best-fit coaches. Who better to fill these sports jobs than professionals who have notable first-hand experience? The tennis and golf practice is directed by Steve Snodgrass. A four-year varsity tennis player at Kansas State University, Steve went on to coach the men’s and women’s team for seven years. As a young entrepreneur, Steve also designed, built and operated an indoor/outdoor racquet club and recreational facility in his late 20s. He remained the highest percentage owner of the club for 34 years and was instrumental in its sale in 2010. 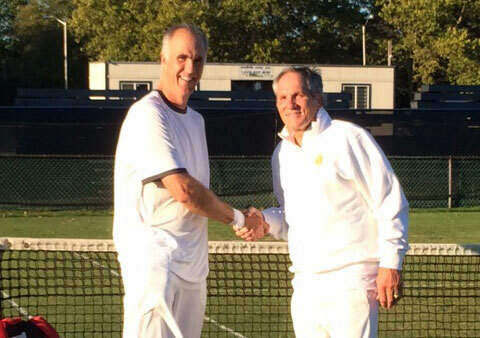 Steve and Sports Division co-founder Tom Jacobs, a former Managing Director of Player Development for the USTA and member of the Intercollegiate Tennis Association (ITA) Hall of Fame, have an unprecedented network. It spans the professional, coaching and clubs and resorts ranks. 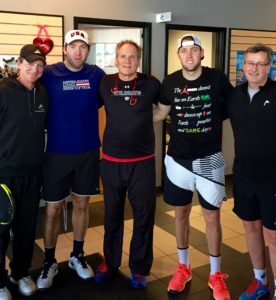 Snodgrass Partners’ Steve Snodgrass with Eric Sock and Top 20 ATP professional Jack Sock. Our recruiters understand the business of tennis. We have a deep bench with relevant sports industry experience coupled with decades of retained executive search and leadership assessment consulting successes. These professionals have strong connections throughout the tennis community and a rare combination of tennis experience and talent recruiting success for clients. Our services are designed to help tennis providers manage and grow their businesses. These include the important areas of staffing, recruitment, management and leadership. Searches are completed quickly, with discretion and are backed by a guarantee. Expanded consulting services from our Allied Partners. Our Allied Partners include top industry leaders who can provide leadership assessment and consulting. Among these thought leaders are Dr. Mark Kovacs, of the Kovacs Institute for elite individuals looking to optimize performance in sport, business and life. Also on our team is former University of Texas head women’s tennis coach, Jeff Moore of Moore Leadership. Jeff helps leaders in both college sports and the corporate world build championship teams. We also offer knowledgeable consulting on topics such as facility upgrades, raising capital, youth/adult programs that drive membership, player recruitment and more. If it relates to the business of tennis, Snodgrass Partners can help. 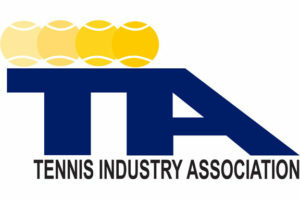 Snodgrass Partners is a Corporate Partner with the TIA, the not-for-profit trade association for tennis. Building a racquet club taught me to surround myself with great people. If you’re an owner-operator or general manager at a club or resort, call us at 1.800.207.1958 and tell us what type of position you are looking to fill. Todd Martin, former World #4 and CEO of the ITHF, and Steve Snodgrass. Our first sports client was the International Tennis Hall of Fame. 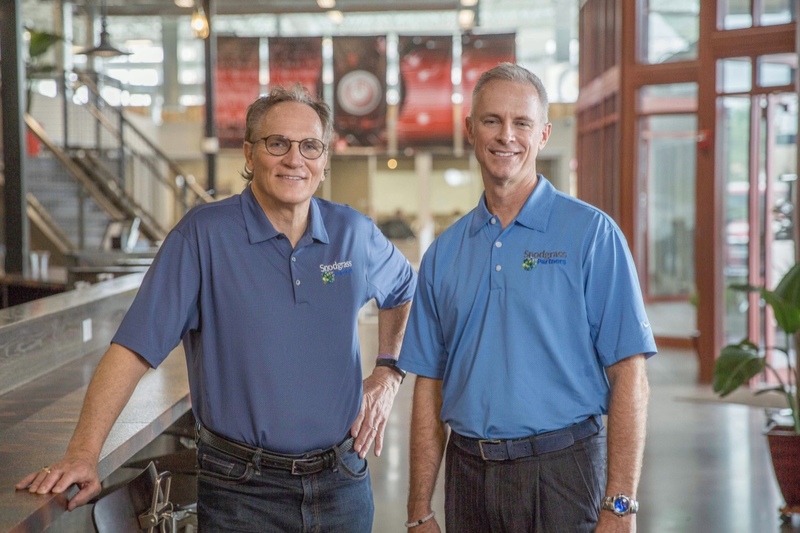 The idea to create a tennis division was born in 2014 when Steve Snodgrass was retained by the International Tennis Hall of Fame (ITHF) His task was to identify and vet a Chief Operating Officer to complement the skills of CEO Todd Martin. As a former pro, Martin climbed as high as number four in the world while on the ATP Tour. Martin was particularly impressed by this very unique skillset – an in-depth understanding of tennis coupled with 30+ years of C-suite talent recruiting. After 90 days, Steve qualified over 15 strong candidates via his pool of 100+ networking outlets. The former CEO of the Professional Bowling Association rose to the top and Stu Upson was named the COO of the ITHF. If you’re a coach, teaching professional or director of tennis or golf, send us a confidential email. Tell us what you are looking for and include your resume as a PDF or Word document.